Unionist Voice can reveal the identity of the senior IRA terrorists stalking the corridors of Stormont wielding a veto over the ongoing talks process. They are Bobby Storey, Martin Lynch and Sean Murray. The trio, who are all members of the still active IRA Army Council, are present at the talks on behalf of the terror group. It is understood their shadowy presence has been a feature of the talks process for a number of weeks. 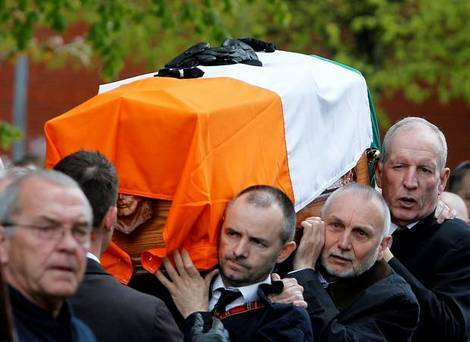 Storey is a convicted IRA terrorist responsible for many murders and bombings. He was part of the IRA gang that broke out of the Maze prison in 1983 and in 2015 he was arrested following the IRA murder of their former hit man, Kevin McGuigan. Martin Lynch is the current Chief of Staff of the IRA. He is a lifelong terrorist and longstanding member of the IRA Amy Council. 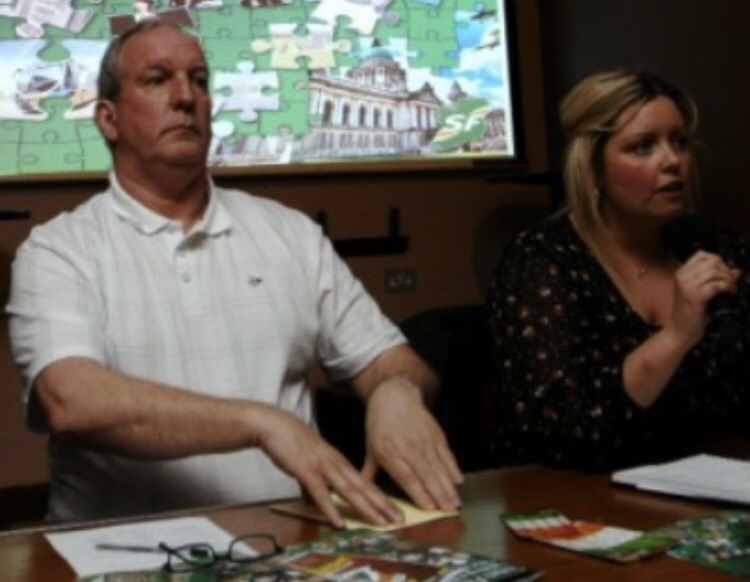 Sean Murray has acted for many years as the link man between the Army Council and Sinn Fein. 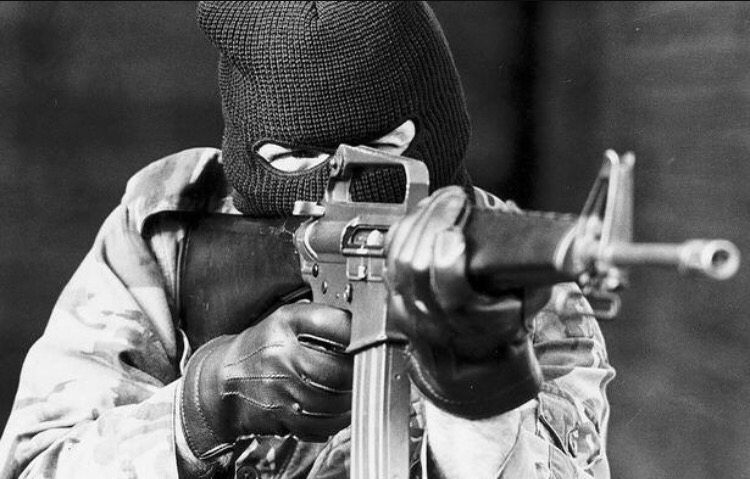 He was responsible for a sophisticated gunrunning operation during the peace process and held the position of Northern Commander during some of the IRA’s most brutal terrorist attacks. 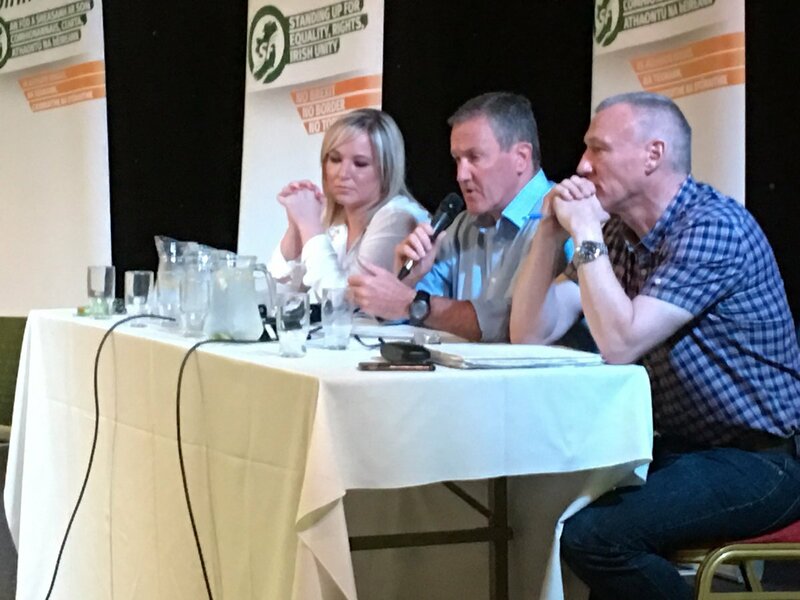 Murray, Storey and Lynch were instrumental during the IRA meeting in the Felons club when Sinn Fein were ordered to take a harder line. As a result of this IRA directive the terror trio were appointed to oversee Sinn Fein during the talks process and as such they have a veto on any decisions made. In 2015 a Government assessment made clear that the IRA Army Council still directed Sinn Fein strategy. The accuracy of that assessment has been proven correct by virtue of the IRA veto over the ongoing talks process. On a daily basis the terror trio stalk the Stormont corridors and canteen. After every round of talks Sinn Fein must report back to the Army Council representatives and seek their permission to proceed. Many within the Unionist community will be considerably uneasy at the fact those negotiating are de-facto doing so with the IRA Army Council. 116 Responses to "EXPOSED: The IRA terror trio stalking the talks process"
I do not even know the way I stopped up right here, however I thought this publish was once good. I do not recognise who you are however certainly you are going to a famous blogger in the event you are not already 😉 Cheers! I used to be suggested this website via my cousin. I am now not certain whether or not this publish is written by way of him as no one else understand such designated approximately my problem. You’re amazing! Thanks! I loved up to you’ll obtain performed right here. The caricature is tasteful, your authored subject matter stylish. nonetheless, you command get got an edginess over that you want be turning in the following. in poor health surely come more until now again as exactly the similar nearly very regularly within case you shield this increase. far. But, what in regards to the bottom line? Are you sure about the source? desire to counsel you some interesting issues or suggestions. it yourself? Either way keep up the excellent quality writing, it’s rare to see a nice blog like this one nowadays. I actually wanted to send a brief message so as to say thanks to you for some of the precious hints you are showing at this website. My time-consuming internet investigation has now been honored with awesome facts and strategies to exchange with my classmates and friends. I ‘d assert that we readers are unquestionably fortunate to live in a remarkable place with very many outstanding professionals with interesting guidelines. I feel truly lucky to have come across your entire web page and look forward to plenty of more amazing times reading here. Thank you once more for everything. It is in point of fact a nice and helpful piece of info. I’m happy that you shared this helpful info with us. Please stay us informed like this. Thank you for sharing. hello there and thank you in your information – I’ve certainly picked up something new from right here. I did alternatively experience a few technical issues the use of this site, as I skilled to reload the web site lots of instances previous to I may get it to load correctly. I have been considering if your web hosting is OK? Now not that I’m complaining, but slow loading circumstances occasions will sometimes impact your placement in google and could injury your high quality ranking if ads and ***********|advertising|advertising|advertising and *********** with Adwords. Anyway I’m adding this RSS to my email and can look out for much extra of your respective intriguing content. Ensure that you replace this again soon.. Pretty nice post. I just stumbled upon your weblog and wished to say that I’ve really enjoyed surfing around your blog posts. In any case I?ll be subscribing to your feed and I hope you write again very soon! I definitely wanted to type a simple remark in order to appreciate you for all the wonderful items you are showing on this website. My long internet research has at the end of the day been honored with good quality insight to go over with my friends and classmates. I ‘d admit that most of us website visitors are undeniably fortunate to exist in a useful website with so many perfect individuals with helpful advice. I feel very blessed to have encountered the webpage and look forward to plenty of more fabulous times reading here. Thanks a lot once more for a lot of things. Greetings! I’ve been reading your site for a long time now and finally got the bravery to go ahead and give you a shout out from Austin Tx! Just wanted to say keep up the excellent job! skilled blogger. I have joined your feed and look ahead to seeking extra of your wonderful post. What’s up, its fastidious post regarding media print, we all be aware of media is a impressive source of information. Hey there! Someone in my Myspace group shared this website with us so I came to take a look. I’m definitely loving the information. I’m bookmarking and will be tweeting this to my followers! Excellent blog and wonderful design and style. Hey I am so glad I found your web site, I really found you by error, while I was looking on Google for something else, Regardless I am here now and would just like to say thanks for a tremendous post and a all round thrilling blog (I also love the theme/design), I don’t have time to read through it all at the minute but I have saved it and also added in your RSS feeds, so when I have time I will be back to read much more, Please do keep up the fantastic work. We are a group of volunteers and starting a brand new scheme in our community. Your site provided us with useful info to paintings on. You have done an impressive process and our entire group can be grateful to you. I would like to express my thanks to this writer just for rescuing me from this type of problem. Right after searching throughout the world-wide-web and obtaining principles which are not productive, I figured my life was over. Living minus the solutions to the issues you have solved by means of your main write-up is a serious case, and those which might have adversely damaged my career if I hadn’t encountered your web site. Your own natural talent and kindness in handling a lot of stuff was important. I’m not sure what I would have done if I had not come across such a step like this. It’s possible to at this time look ahead to my future. Thanks a lot very much for the expert and result oriented guide. I will not hesitate to propose your web page to anybody who would need recommendations on this situation. I was suggested this website by way of my cousin. I’m no longer sure whether or not this put up is written via him as nobody else realize such targeted about my problem. You are wonderful! Thanks! of course like your website but you have to check the spelling on several of your posts. A number of them are rife with spelling problems and I find it very bothersome to tell the truth nevertheless I will definitely come back again. Thank you for the good writeup. It in reality was a amusement account it. Look complicated to more delivered agreeable from you! However, how can we be in contact? It’s appropriate time to make a few plans for the future and it is time to be happy. I have learn this put up and if I may just I desire to suggest you few fascinating issues or advice. Maybe you could write subsequent articles referring to this article. I wish to learn more issues approximately it! What i don’t understood is if truth be told how you’re no longer really much more well-favored than you might be now. unless it is one thing to do with Girl gaga! Your own stuffs excellent. informative. I am going to be careful for brussels. I’ll be grateful for those who proceed this in future. I surprise how much effort you put to create the sort of great informative web site.